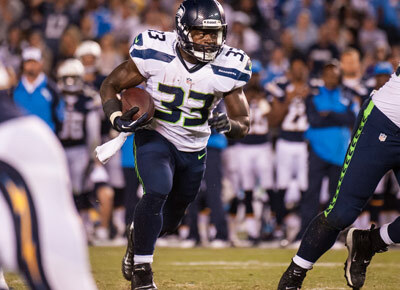 The Seahawks are planning to cut back Marshawn Lynch’s carries but about 40-50 which is just fueling the Christine Michael bandwagon. Michael is closing in on RB2 status for dynasty already and should be a RB1 next year. Dynasty owners hoping to squeeze out a little more of Bengals running back BenJarvus Green-Ellis probably need to cut bait. He’s battling for a roster spot. In other Bengals news, expect Bengals receiver Marvin Jones production to spike up thanks to being named a full-time starter. This entry was posted in Daily Update and tagged benjarvus green-ellis, christine michael, marshawn lynch, marvin jones. Bookmark the permalink.